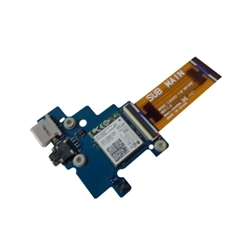 Description: New genuine Samsung laptop usb, wireless, and audio board with ribbon cable. This original circuit board contains 1 usb port. Compatible Part #'s: BA41-02410A, BA92-14224A.